Pest control is critical for a clean and healthy home, however some people still seem to take an ‘out of sight, out of mind’ approach. Keeping on top of pests means being vigilant – and proactive. Here are just a few tips to help you ward off bugs, mites and rodents before they settle in at your Parramatta home. A well-sealed home is the essential first step for keeping pests at bay. Seal up any cracks or crevices in the foundations, and holes in or around windows and doors. Use fly screens, keep firewood outside, and check pipes and plumbing for leaks, as termites and some other creatures may be attracted to moisture. 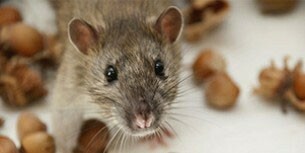 Over the counter pest control solutions vary immensely in terms of ingredients and effectiveness. 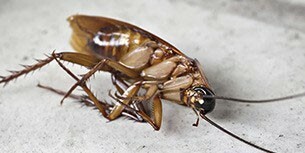 While they may do the job of killing cockroaches or other nasties that you can see, always remember that where there’s one, there’s likely to be more. Many of these products also contain harsh chemicals that may be dangerous for children and pets, so always take care where you spray. While they are not going to provide a full solution, some people swear by herbs and essential oils such as mint, chilli, bay leaves and rosemary to help deter pests in the garden. A clean and clutter-free home is essential if you don’t want to offer pests ‘bed and breakfast’. Prevent pests making a home in dirty nooks by keeping it clean, and deprive them of food by ensuring your kitchen cupboards are sealed, food is always put away and benches are wiped down. De-clutter cupboards and storage furniture, and get rid of piles of paper or cardboard that might attract pests. Keep an eye for any signs of insects or rodents – such as new holes in skirting boards or droppings in cupboards or corners – and take action immediately. Catching any infestation early is the best way to ensure it doesn’t get out of hand. 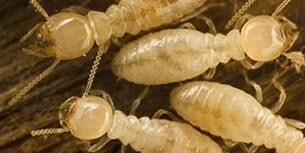 Remember that termites in particular have the potential to cause major (and costly) damage if left unchecked. One of the best steps you can take to get on top of any pest issue is to schedule regular maintenance. Our pest control in Parramatta covers both emergency services and regular checks, which are a great way to catch any pests early. We also use state-of-the-art equipment and eco-friendly products to ensure the job is done quickly, safely and effectively.